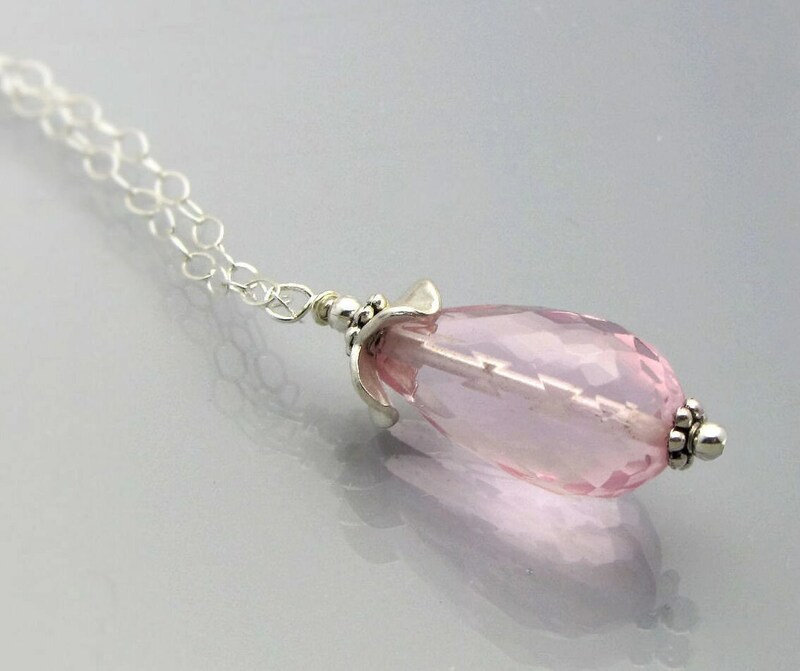 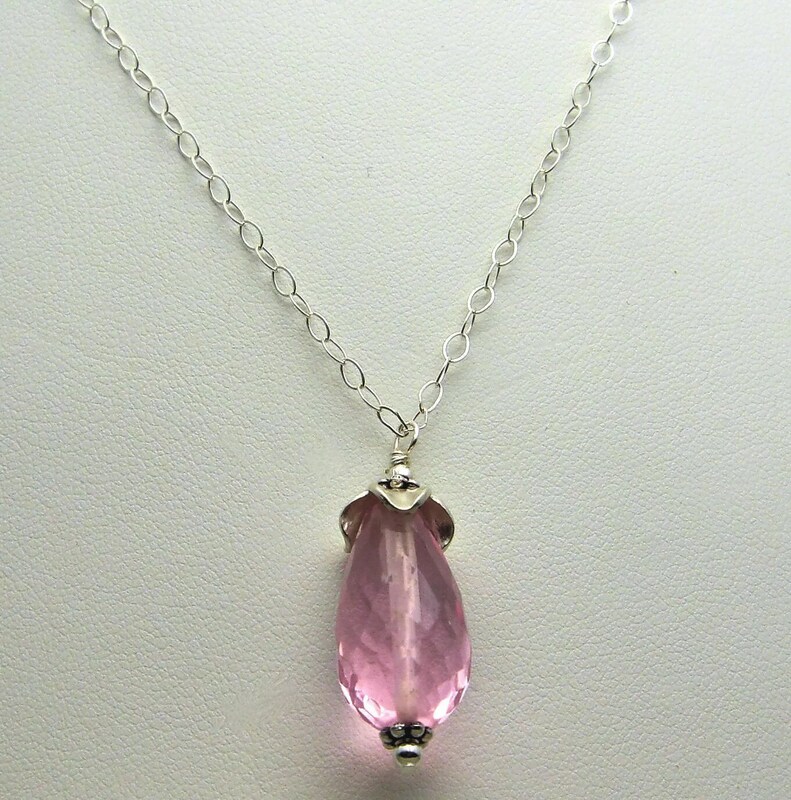 EVANGELINE - this necklace features a single faceted Pink Quartz stone, Hill Tribe Silver, suspended on a fine sterling silver chain. 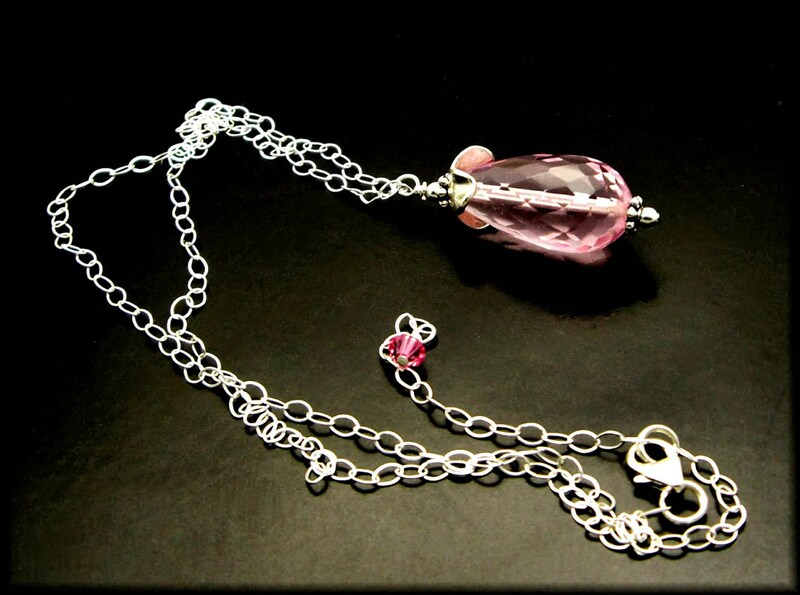 It is 18 inches, has a 2 inch extension chain and Swarovski crystal and fastens with a secure sterling silver lobster clasp. 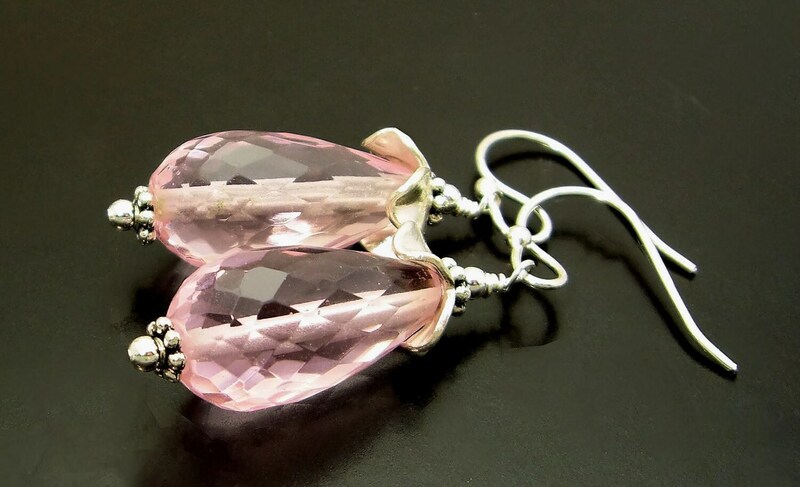 There are matching Evangeline earrings also listed in my shop. 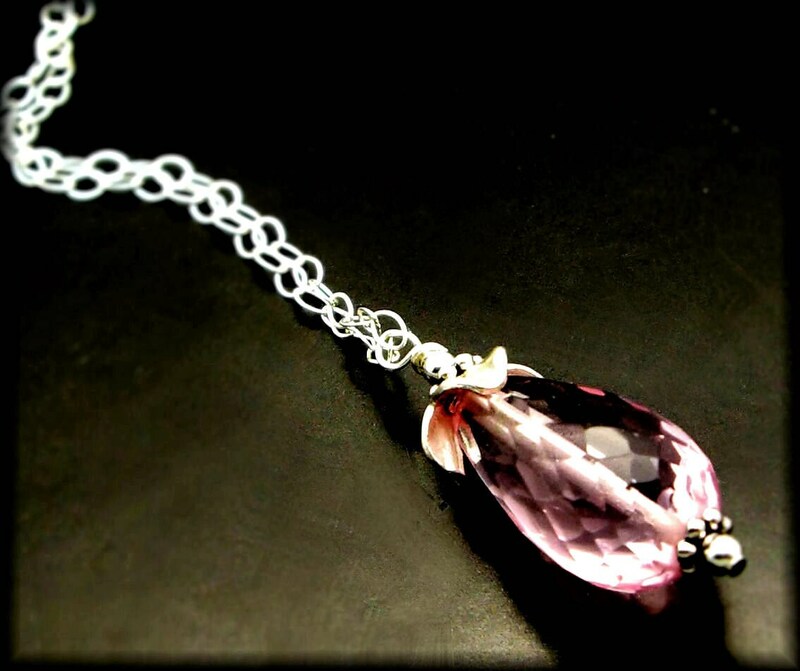 Your beautiful handmade artisan jewelry will arrive boxed and gift ready.